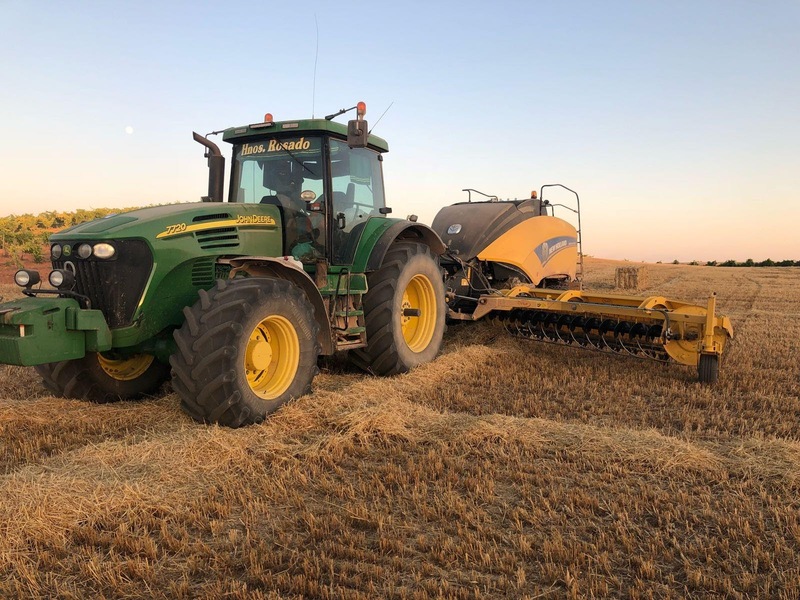 We would like to start this article with the expression "details are very important", in this way, a good selection of tyres is really key choice for big balers. 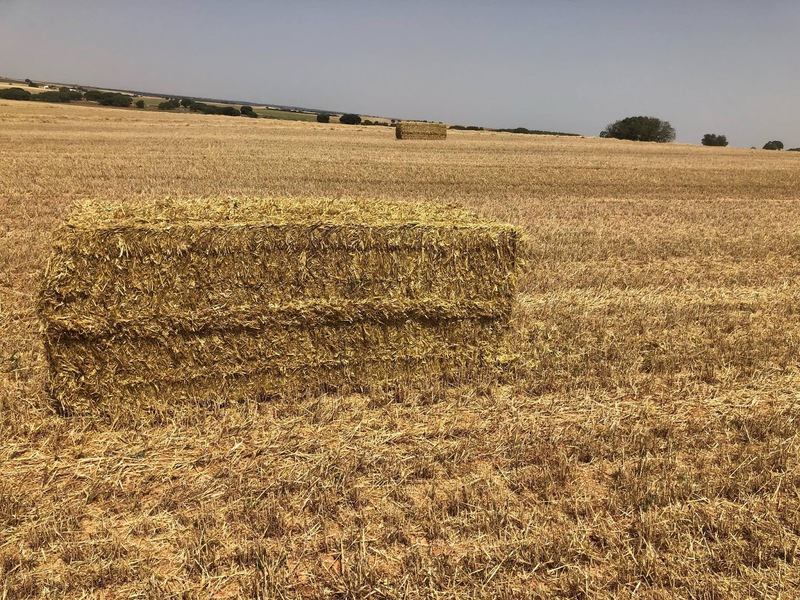 One of the most common summer tasks in Spain is baling cereal straw. 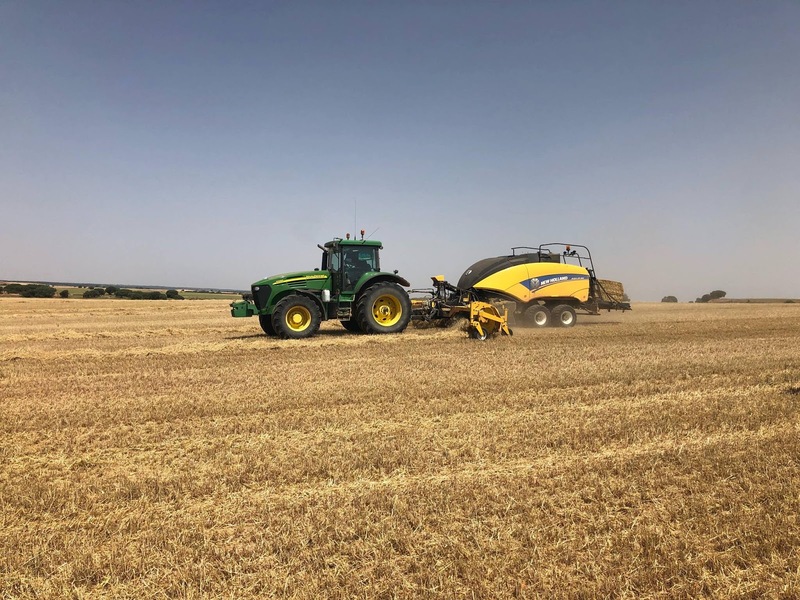 There is a wide variety of opinions among farmers; on the one hand those who choose to chop the straw to provide organic matter to the soil for next season and on the other hand, those who choose the baling option. These two options have advantages and disadvantages but from our experience the second option is better for us because we live in a dry area where there isn't rain while next sowing campaign sometimes. 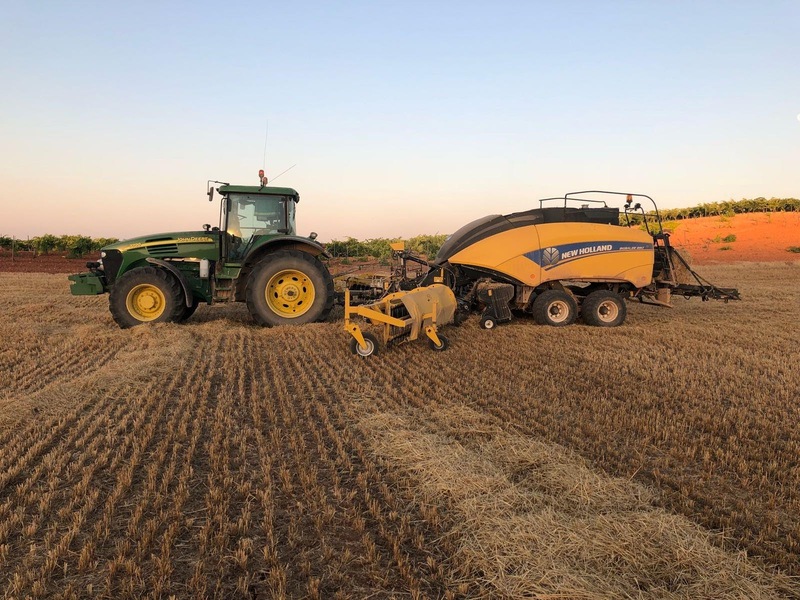 With these climatic conditions and straw on the stubble, it is very difficult to prepare a good seed bed when practicing traditional agriculture. Big baler is an implement that works in extreme hot conditions in Spain and during long baling days. 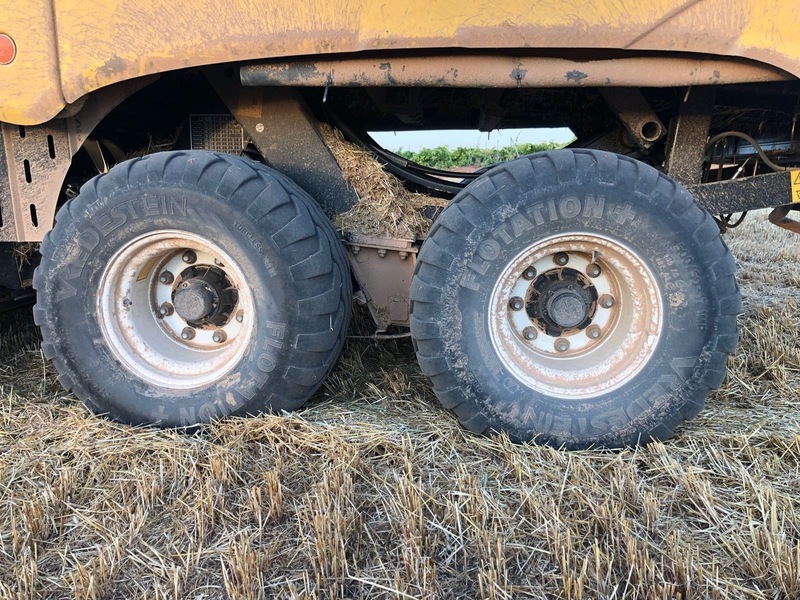 It is a trailed implement and its speed limit is 25 km/h... so its tyres are designed for that. 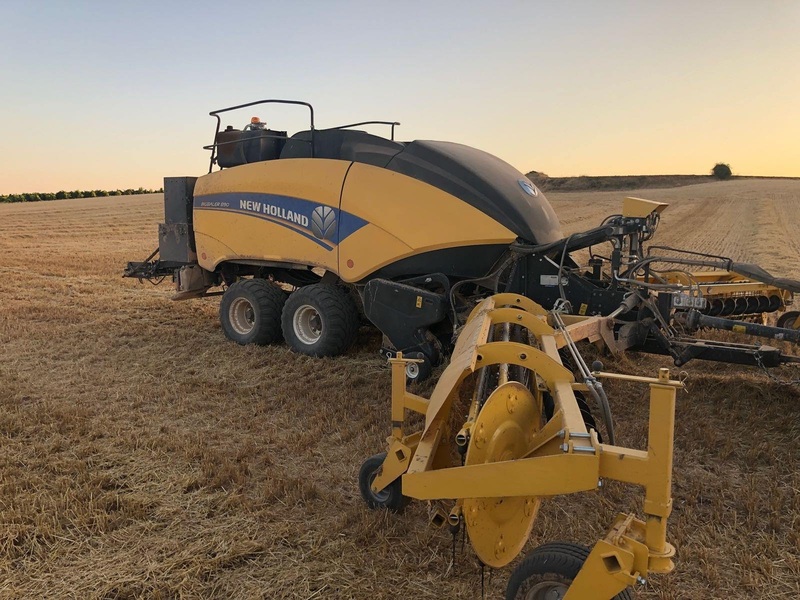 In our pictures, you can see the Rosado Bros Company’s New Holland BigBaler 890. This big baler can make 80x90x230 cm bales of about 300 kg and uses four knotters. 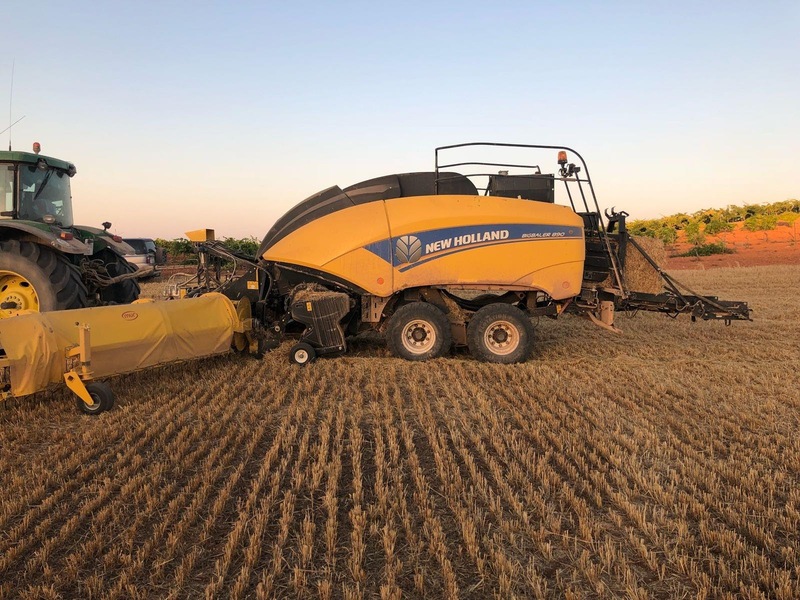 In our village, they work about 10,000 hectares with their two New Holland BigBaler. We have to mention that they spend about 1,000 rolls of rope per campaign. 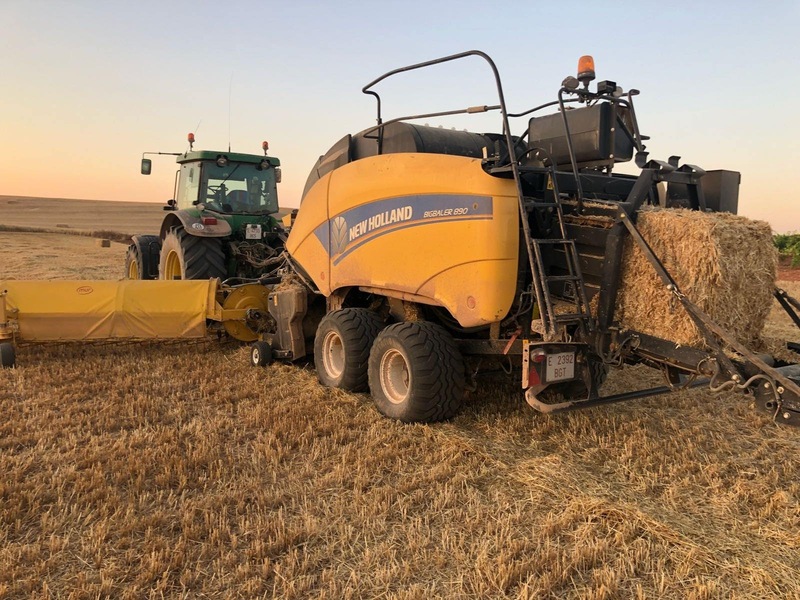 According to their planning, their baler will be at peak performance, with few problems, about for 5 years (just over 100,000 bales). 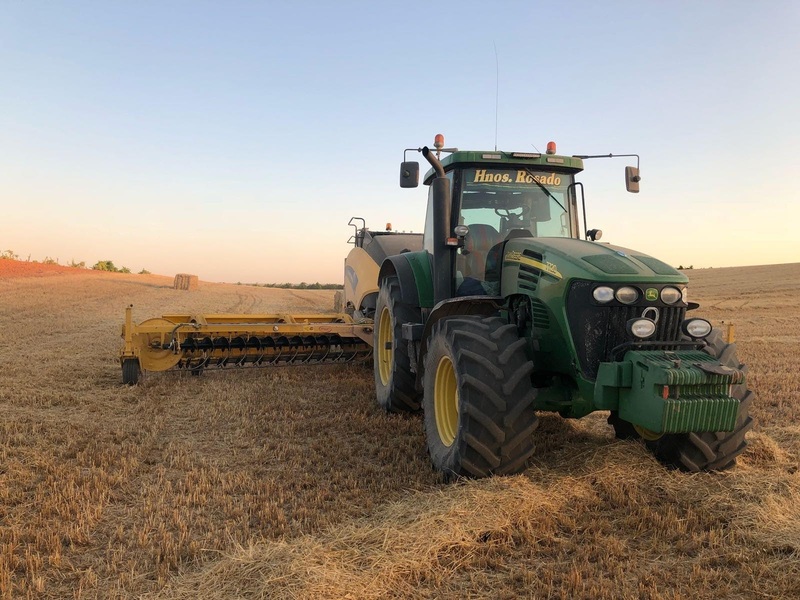 After that, they have to buy another one if they don't want to do expensive maintenance annually (the purchase of this implement is a large investment of around €130,000). As they work a large area, they have to spend a lot of time on road. 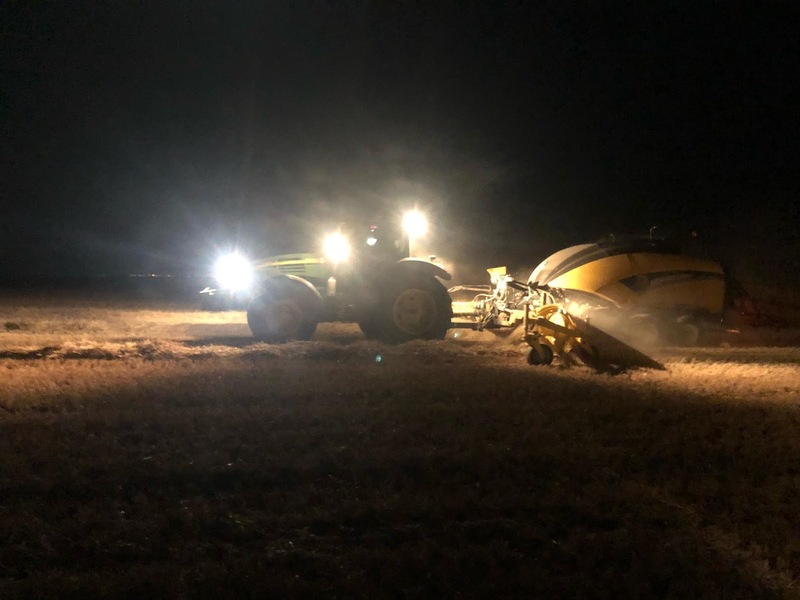 As a result, the working campaign is reduced and therefore a lot of stress is generated, so road speeds are usually high (tractors are high-power and can therefore go at 45 km/h without problems). With these premises, the tyre tends to suffer too much. The New Holland Bigbaler 890 has a tandem axle so it is an advantage and helps a lot to keep the tyre. 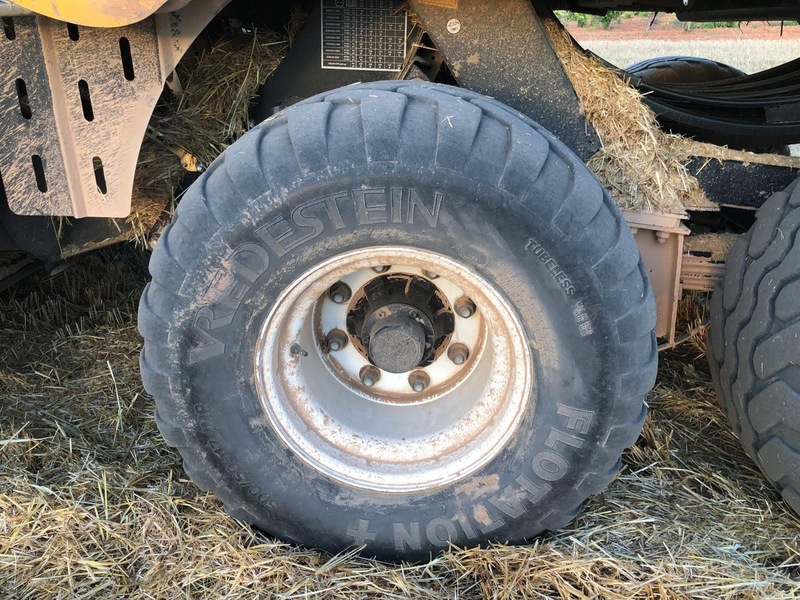 Since they use the Vredestein Flotation+ tyre (500/50-17 IMP 149 A8) they have noticed a big improvement. The tires you can see in our pictures are those ones that come from the factory and this is their second campaign. They think they'll finish it off without any tyre problems. The Flotation+ tyre has a sophisticated carcass construction, with a large contact area and a good height/width ratio. Undoubtedly, this is a good option for this type of machinery. Maybe, the best choice for this type of baler is the Vredestein Flotation TRAC 520/50R17 IPM 141 D. This is a radial tyre that undoubtedly gives much better performance when it is used for transportation but it has has disadvantages for working as the radial is more square and fits the ground worse while the conventional is more oval and fits better. On the other hand, it is necessary to take into account the tyre pressure, which can change for roads around 3.2 bar and for work at 2.5 bar. The farmer has to assess the type of work he carries out and thus adjust the ideal pressure as much as possible. 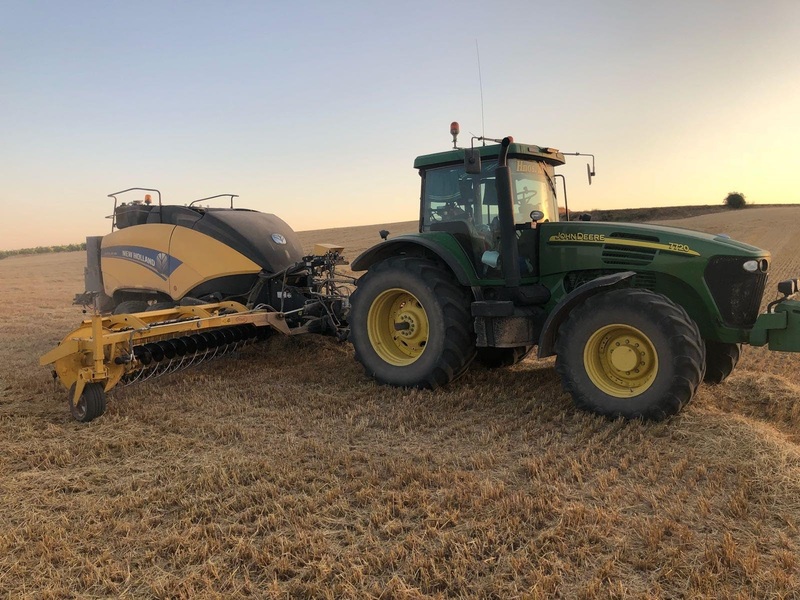 The Flotation TRAC is the perfect radial tyre for both cropland and pasture as well as transport activities since it has a stable central tread with rounded sides, an optimised tread pattern with a highly flexible carcass and a robust tread and bead design.